It’s too complicated. There are too many words. But I drew it anyway. 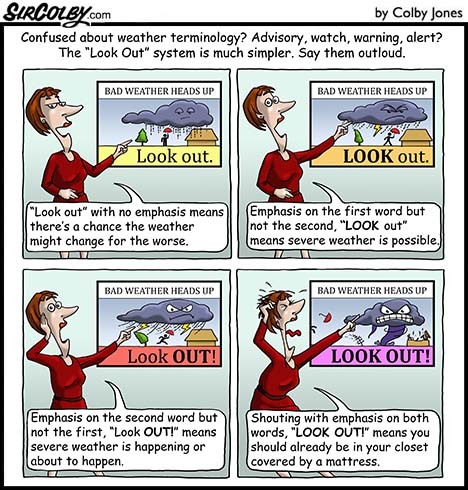 Love the “Look Out” system for weather. 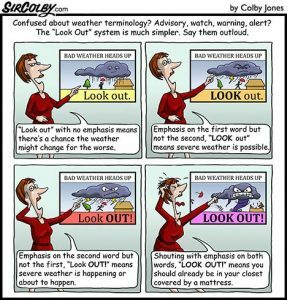 I get tired of the terminology and tend to just tune out.